The Dragonoid Destroyer is a Mechtogan Destroyer that is summoned by Fusion Dragonoid on the second half of the fourth season of Bakugan. The Destroyers are the highlight of the fourth season, and the Dragonoid Destroyer is the ultimate weapon of the brawlers while Mechtavius Destroyer belongs to the villains. 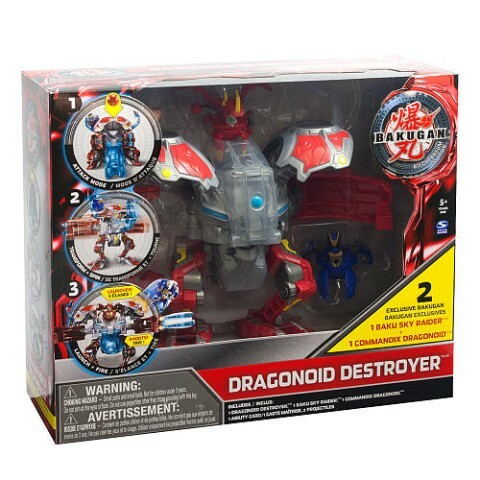 Drago commandeers the Dragonoid Destroyer when he gets into the hub, and two Baku Sky Raiders like Reptak and Jaakor can be placed on the dome sides. Thanks to Bakugan Wikia for the image. *The Aerogan Bakugan is a Baku Sky Raider that comes exclusively on Dragonoid Destroyer. It can be placed on one of the domes on the side of the Dragonoid Destroyer. The Aquos Aerogan has 850Gs. 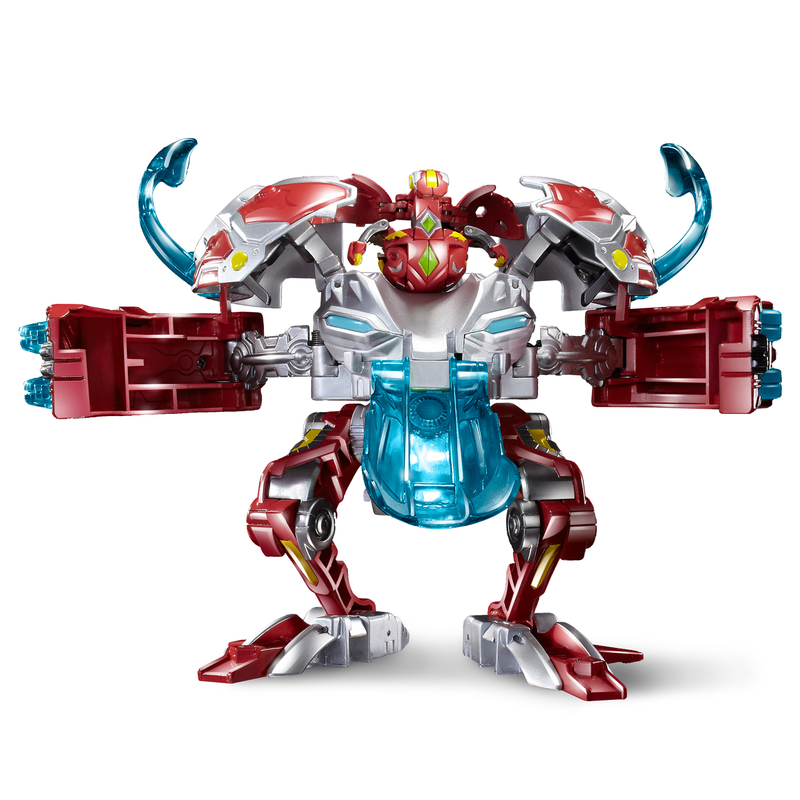 The Dragonoid Destroyer is a support piece in a Bakugan brawl. To play the Dragonoid Destroyer, you have to first roll and activate Commandix Dragonoid on a Gate card. When in battle, drop a closed Commandix Dragonoid into Dragonoid Destroyer and the whole thing will open and transform! You'll be able to see the G-power on the Dragonoid Destroyer when it opens, and your Bakugan will gain this G-power. You can view or download the Dragonoid Destroyer Gameplay HERE.